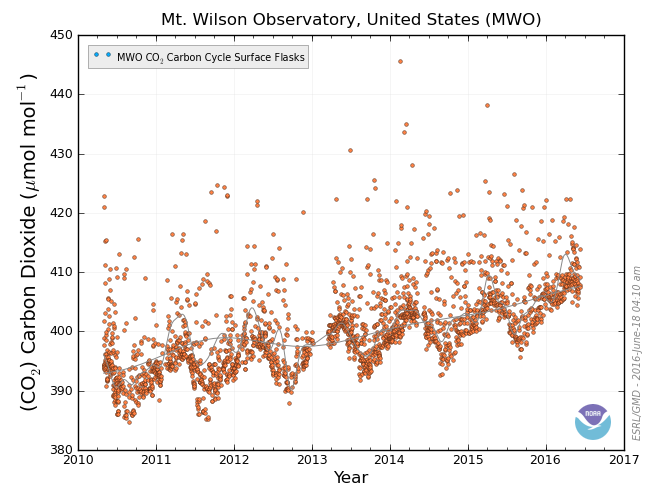 NOAA announced this past week that the South Pole CO2 level sliced through 400 ppm and garnished a major amount of media attention. 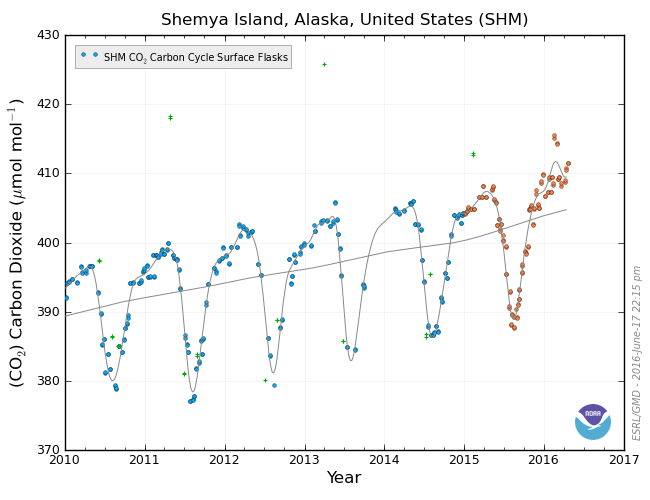 However, this left me thinking about the next milestone in a treacherous journey to further CO2 increases - 410 ppm. 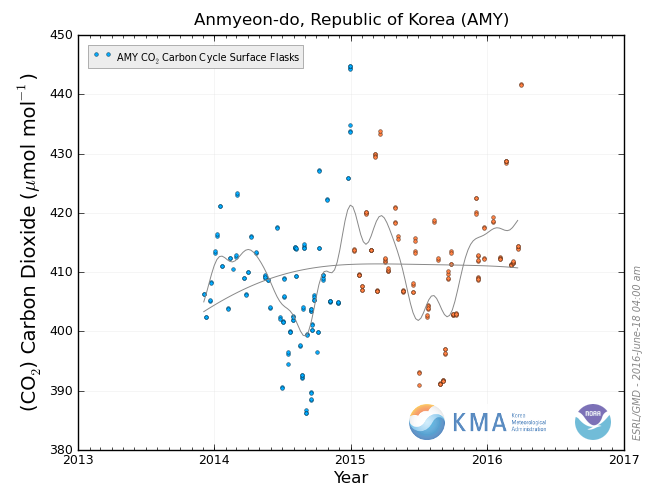 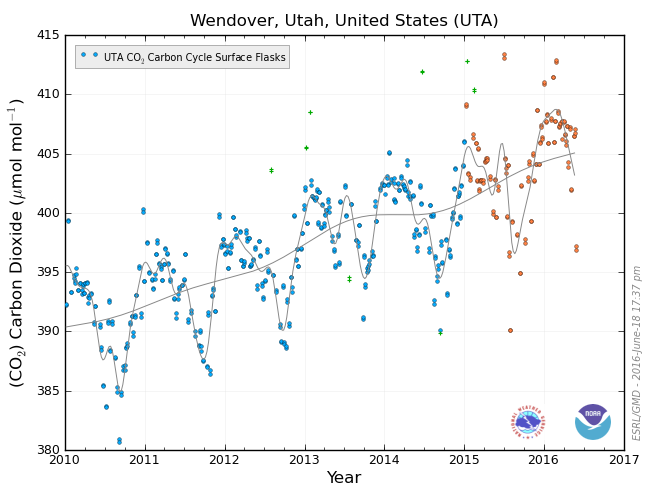 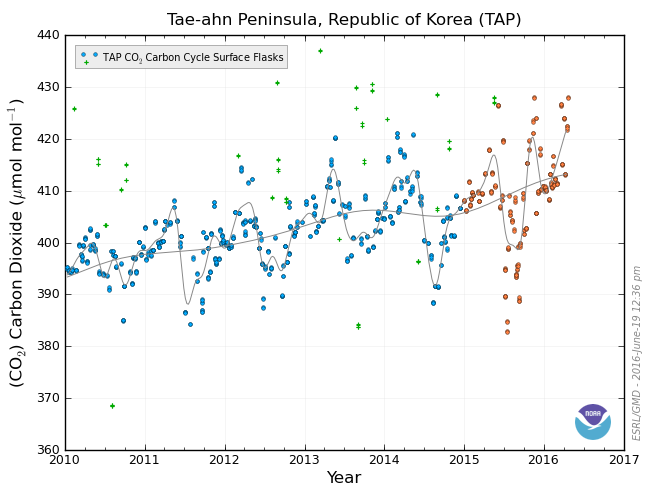 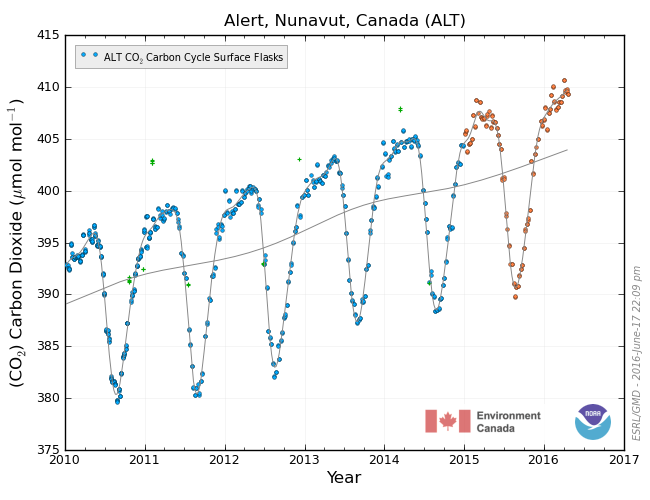 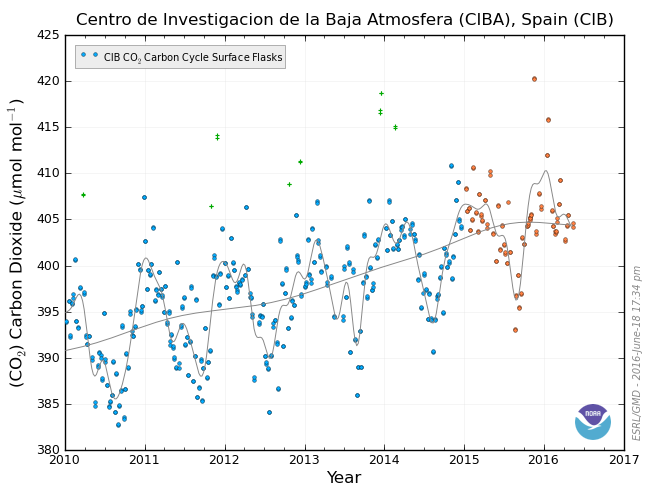 We have experienced accelerated CO2 increases during 2014-2016 due to El Nino and other global heating factors. 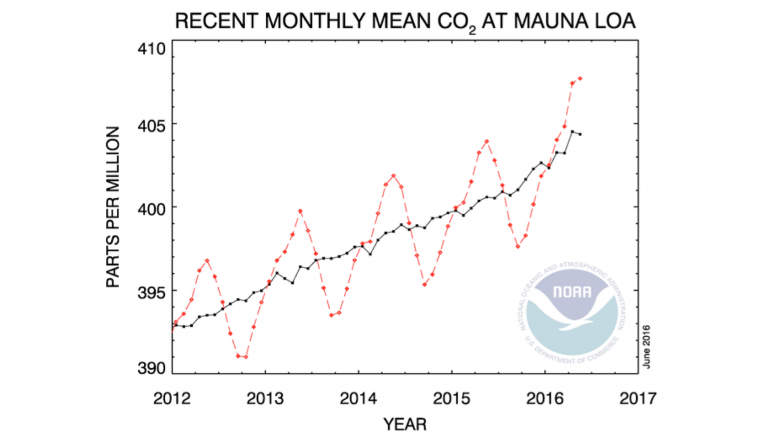 As Richard Betts has argued, this push by El Nino will keep Mauna Loa, and perhaps the planet above 400 ppm later this year. 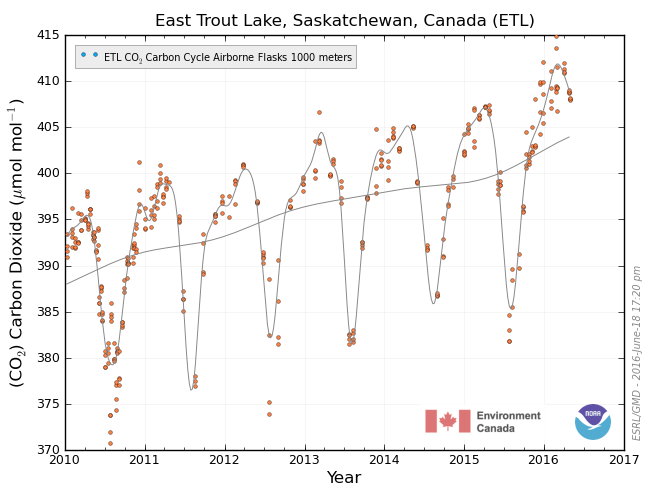 So where has the planet reached 410 ppm this year? In at least 30 locations in the ESRL network. 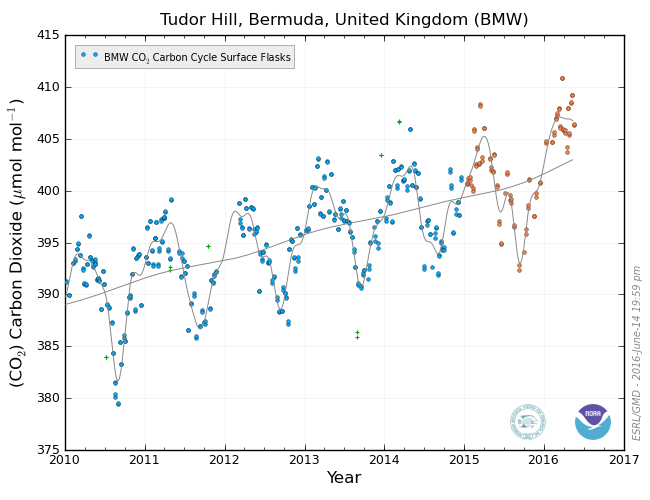 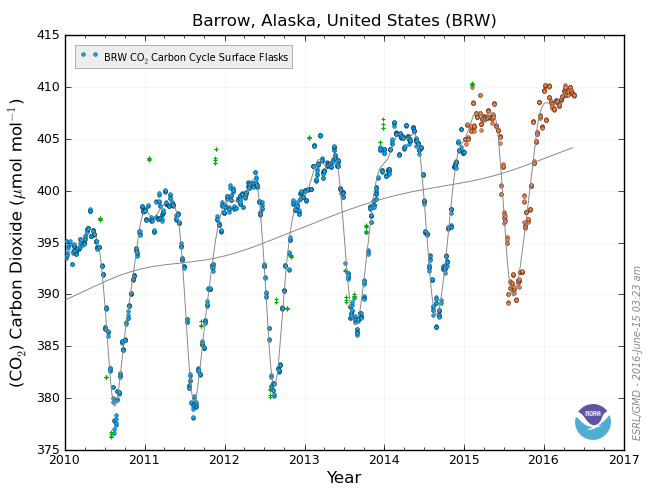 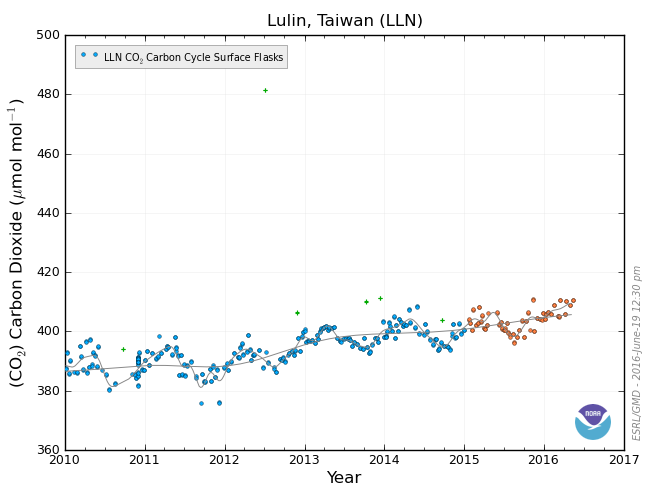 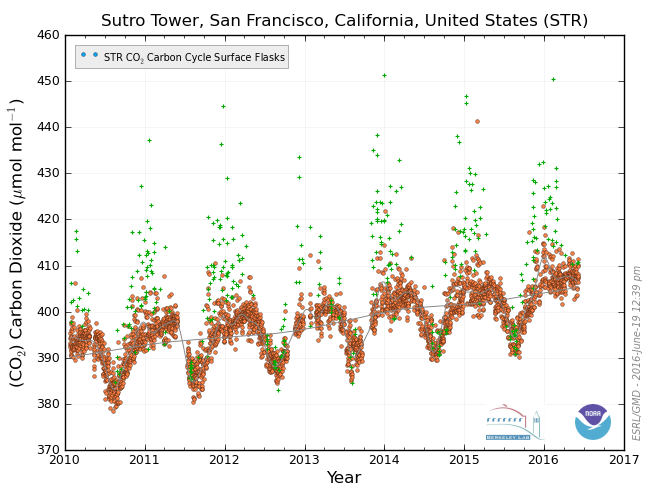 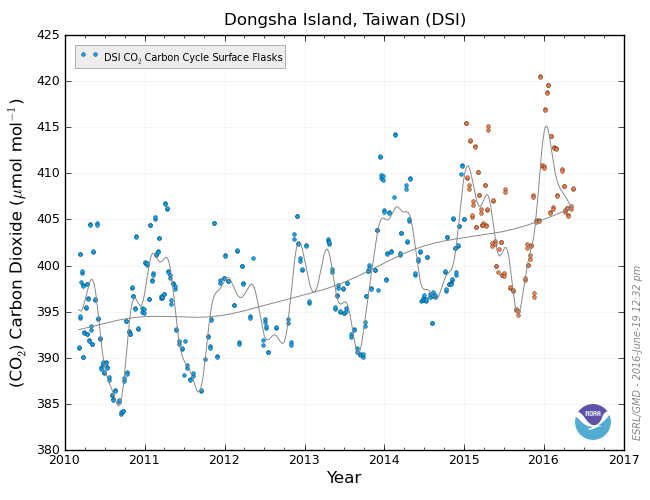 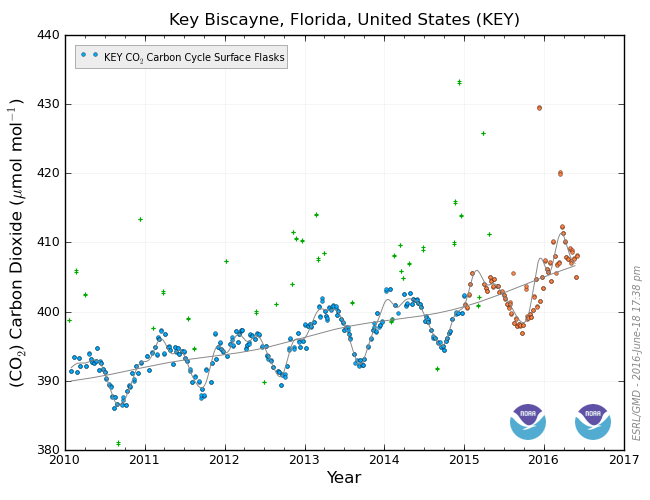 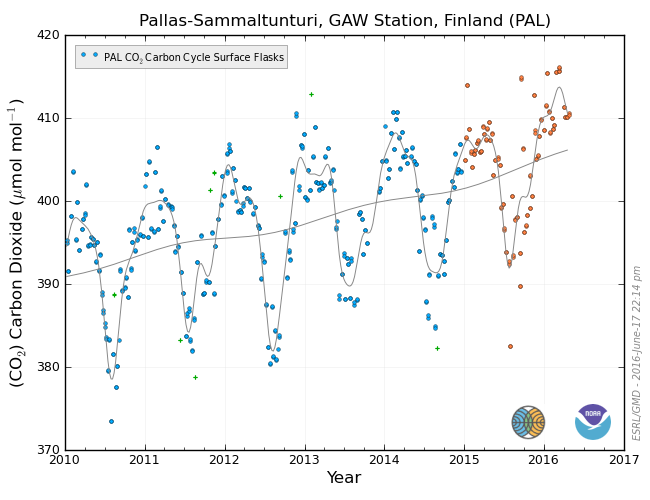 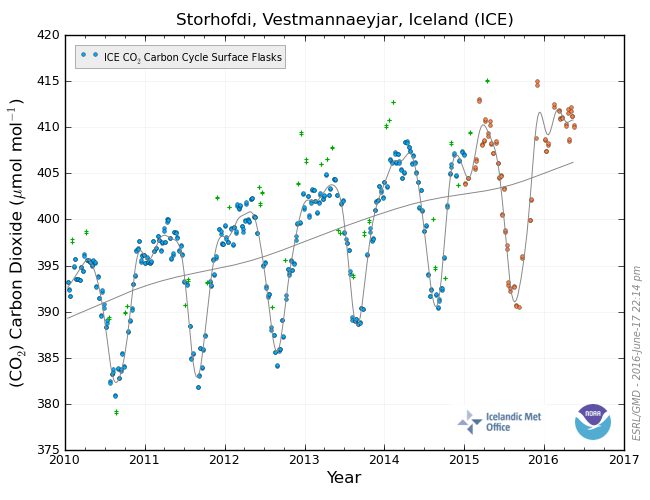 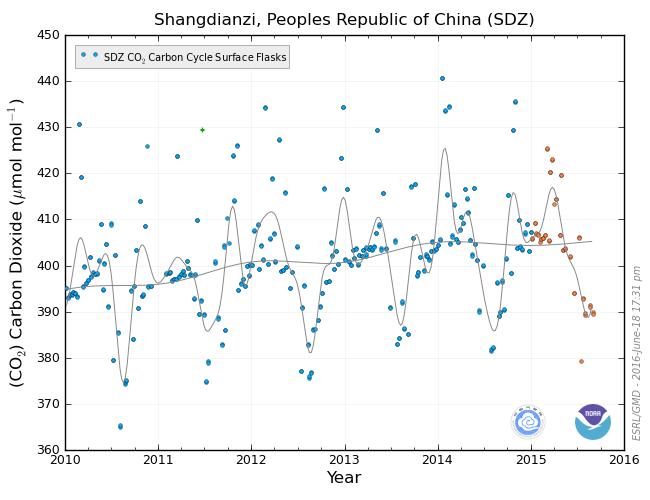 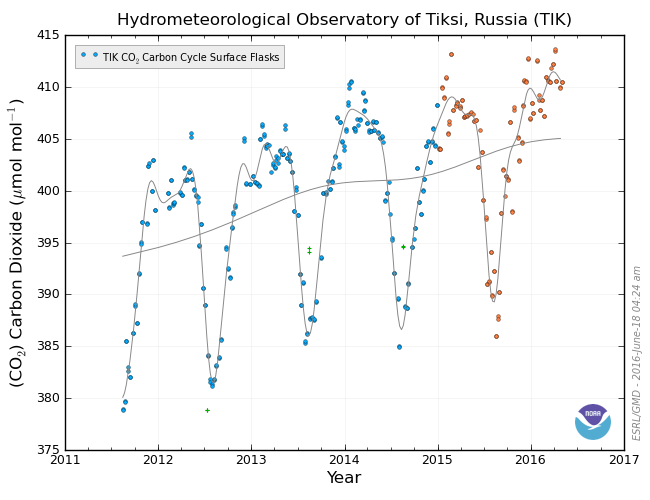 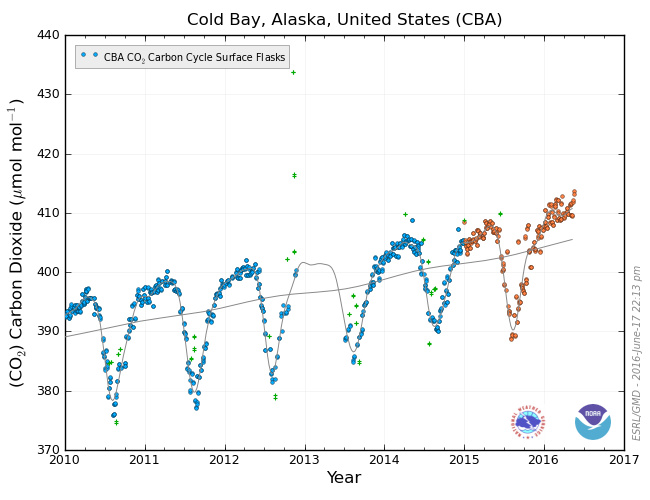 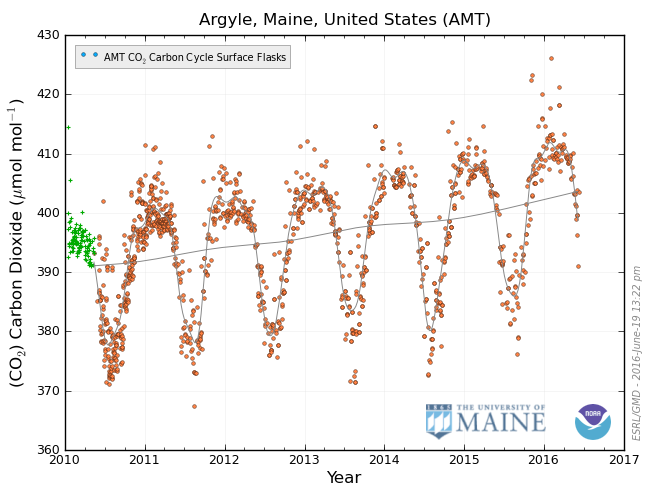 Each red or blue circle in the following image represents an location where CO2 is measured. 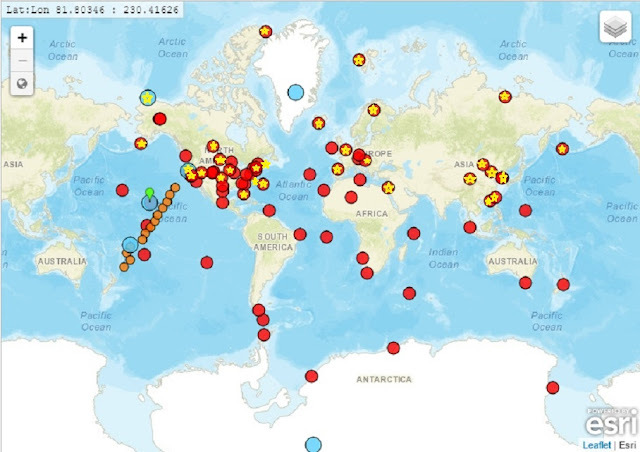 Those locations with yellow stars inside the circles have preliminary spikes above 410 ppm this spring, and a few actually have had their mean break through the 410 ppm barrier. 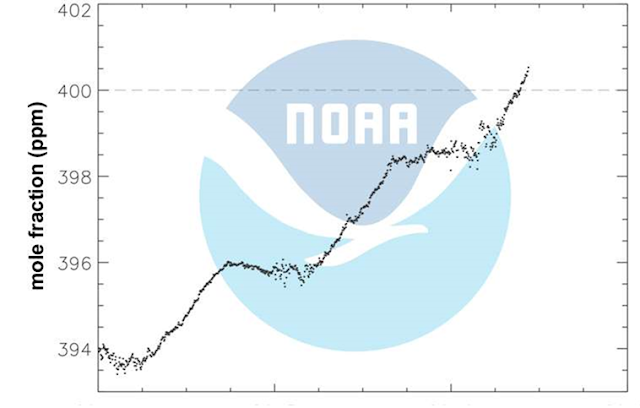 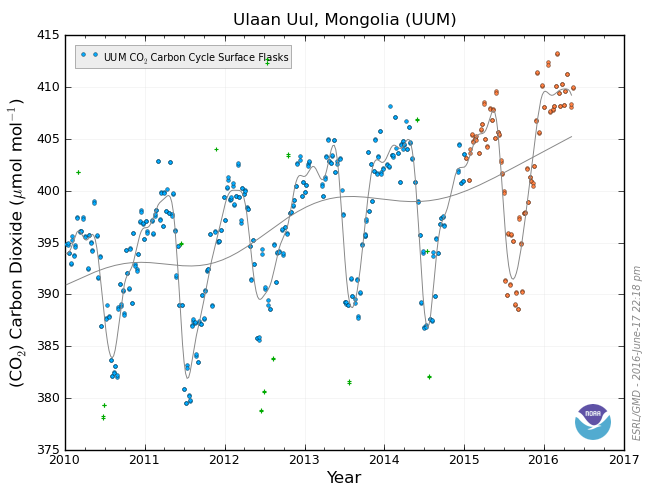 So much for concern over 400 ppm. 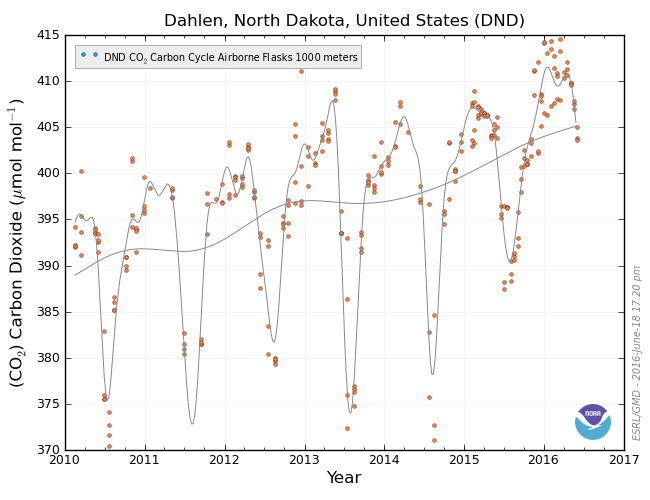 Most locations with levels above 410 ppm are located in the Arctic, North America, Europe Middle East and East Asia above 20N. 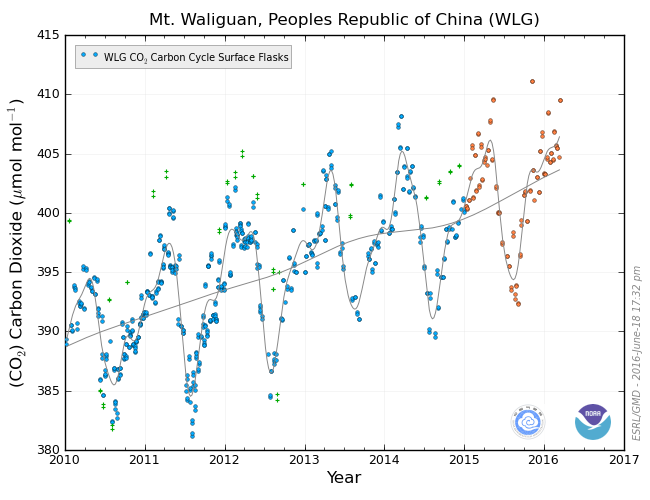 The only major holdout is Summit Greenland, but that will likely break the 410 mark next year. 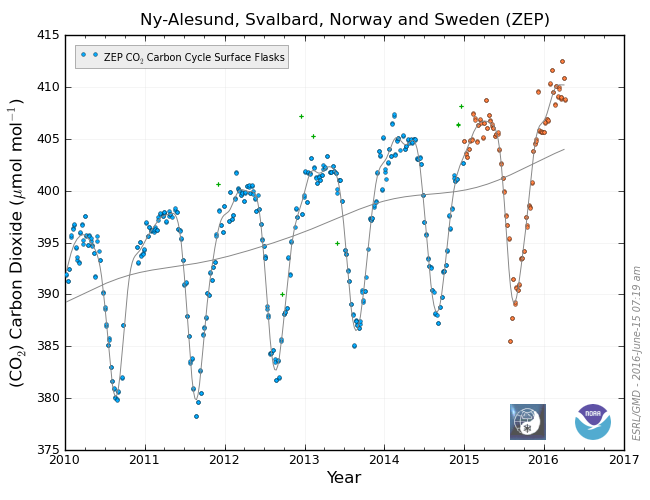 They depict the Arctic first, then North America, Europe, Middle East, and finally, East Asia. 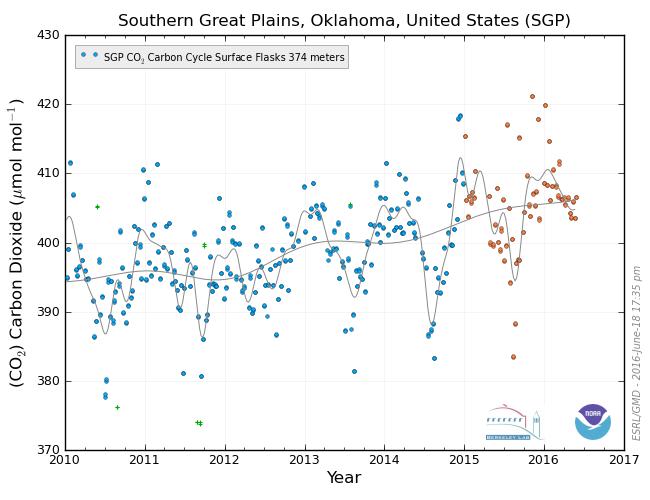 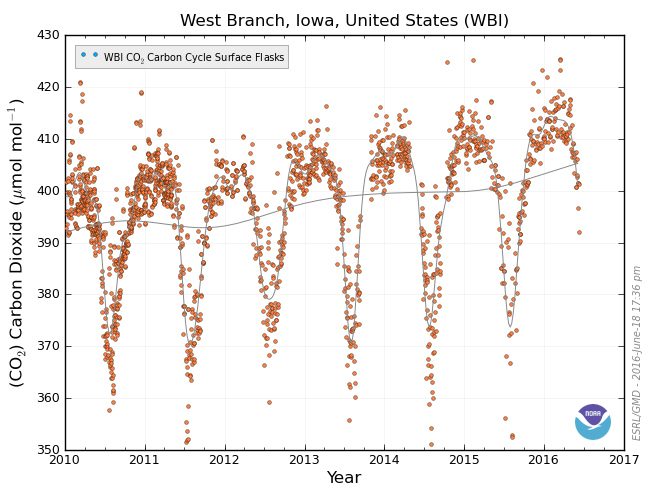 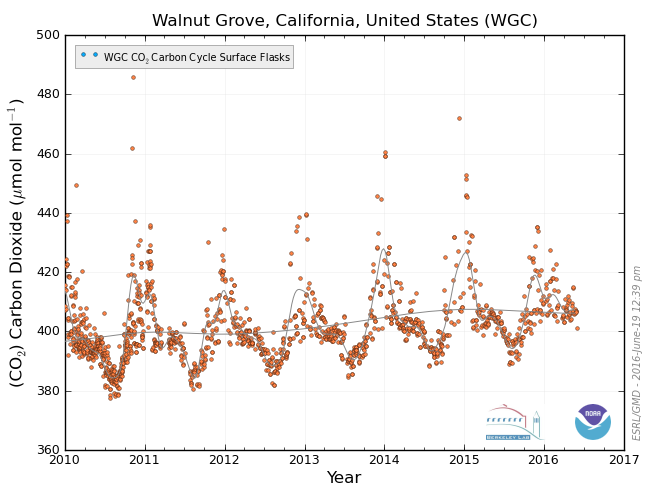 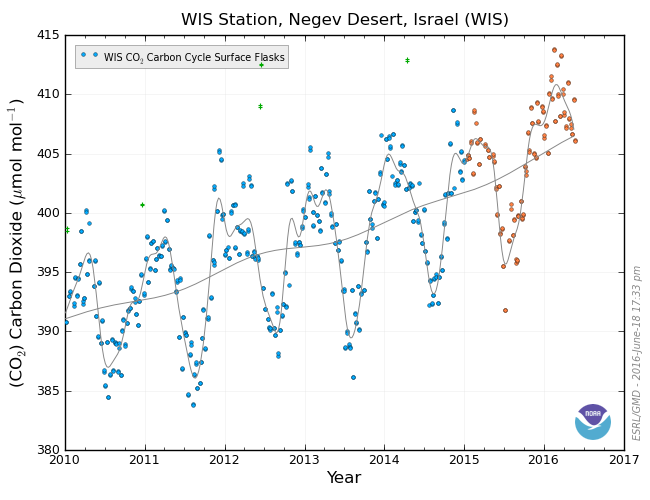 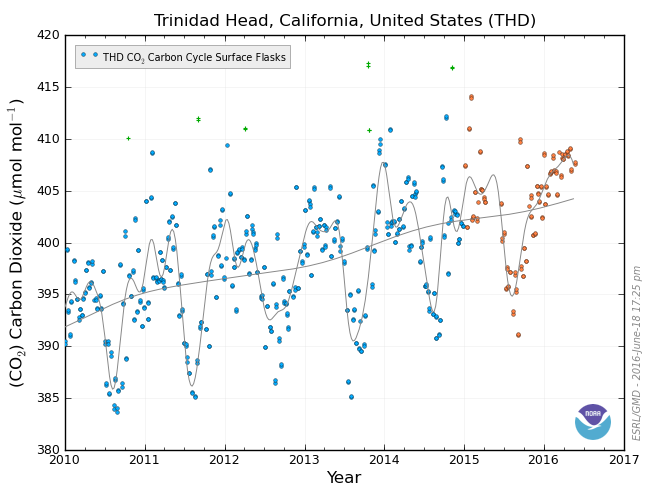 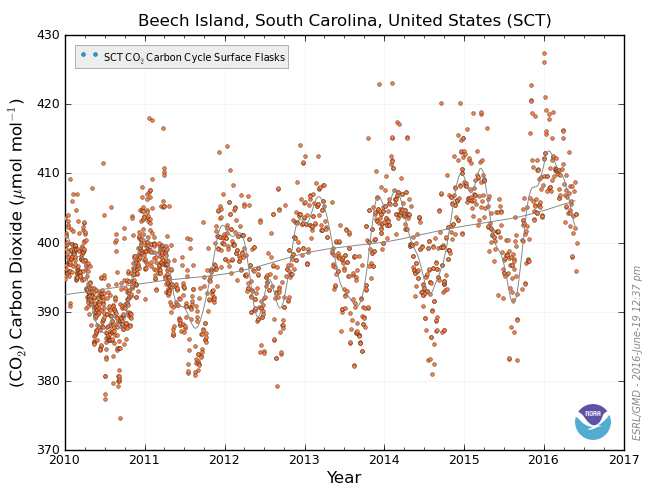 Given the warmth from El Nino and oceanic heating, plus developing drought in the US, and ongoing drought in other areas, it is quite possible that many of these stations will continue the accelerated increase in CO2 - compared to prior years - through this year.